Waterproof black plywood finish and strong aluminium framework. One element is 2x1 m (6.6 x 3.3 ft). Black skirting, carpet and step available on request. Price includes 1 stage element and set of 40 cm or 60 cm legs. Delivery & collection charges not included and depend on location. Setup and derigging not included. 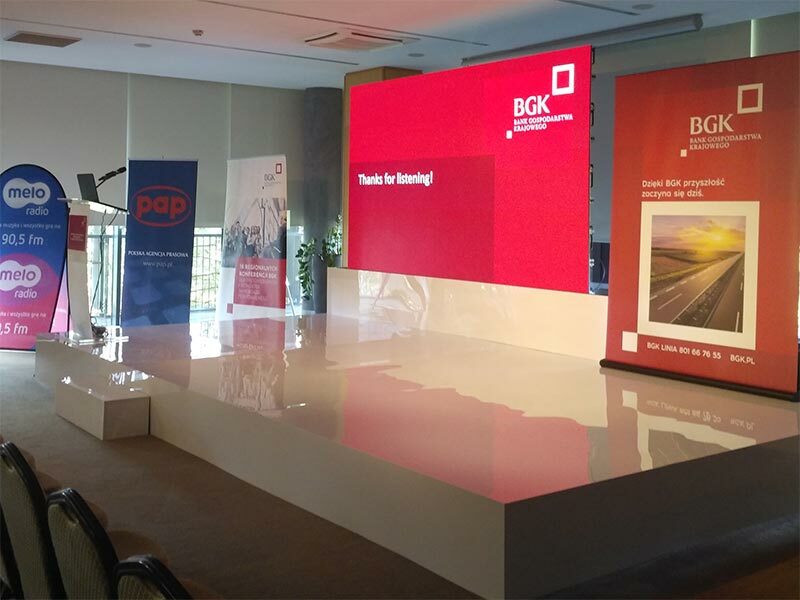 Meeting our customer's needs and expectations we offer a stage hire in London. 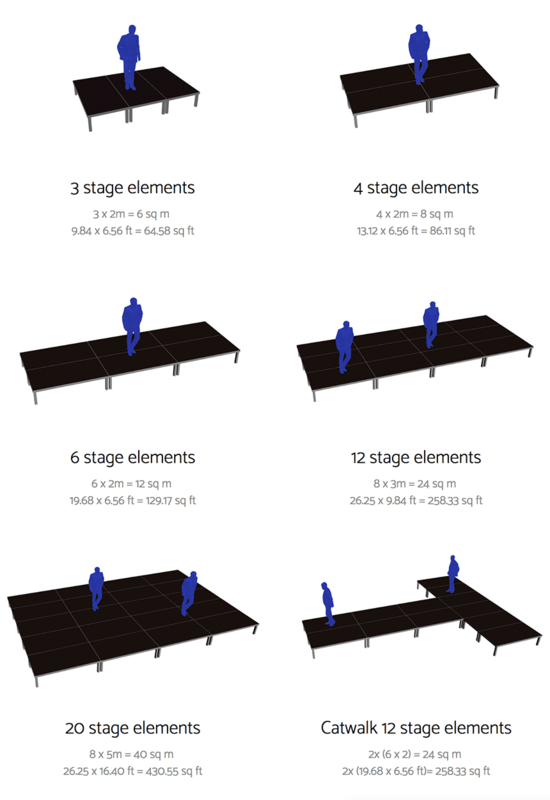 We can build small and medium stage for both indoor and outdoor use. The stage elements to rent come with 40 cm height legs included and black skirting or carpet if needed. 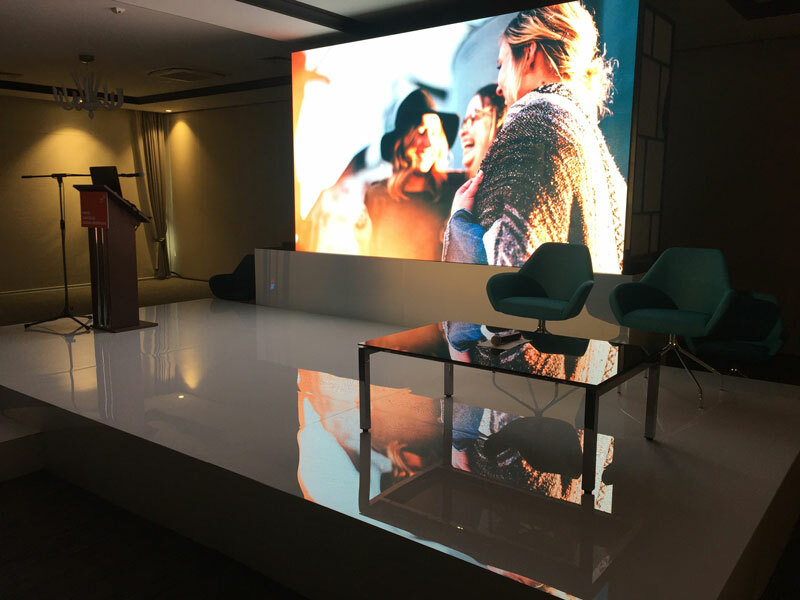 Our Litedeck stages to rent are perfect for any sort of events. At a conference they are a main point of focus for the speaker. At a disco party with mood lights and music they are perfect as a platform for a DJ booth. Stage really makes a difference - it simply allows you to appear more visible through the audience. Professional lectern finished in black. Ideal for conference, presentation, church meetings and other similar events. V portable lectern supplied with a steam beech effect is a neat solution for conference, presentation, speeches and other similar events. Comes with black powder coated metal base and shelf.